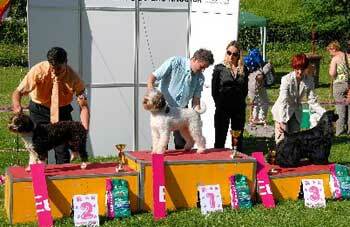 Shown in champion class Max won: ex1, CAC, BOB and BOG 3!!! Max had another successfull weekend at the National all breed dog show in Croatia, handled by Kristina Chavrak ( Chippysize kennel). Winning ex, CAC, Best of Breed and Group they have proved to be a very good team. Thank you Kristina for the handling and very good presentation of Max. Shown after 6 months Max won ex1, CAC and another Best of Breed. 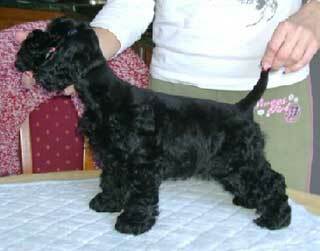 Lady Annabelle Remax Valentina's Magic is 7 weeks old and she is a real lady. 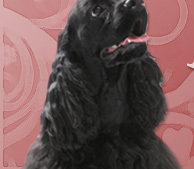 You can find more about Annabelle on website www.valentinasmagicmaltese.com. Max became a father to one puppy girl. 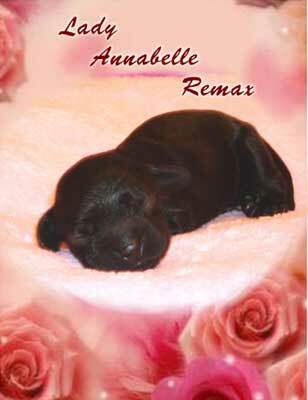 Deleos Mercedes, who was bred to Max gave a birth to a nice black girl Lady Annabelle Remax. She is spoken for. 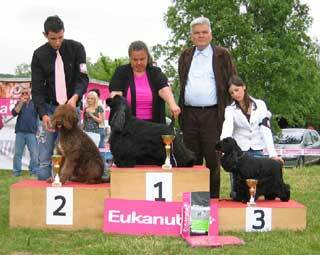 In limited and selective showing in 2007 Max has placed 3rd in competition for Top american cocker 2007 in Slovakia. Max had his new girlfriend Deleos Mercedes (Puppylove Rikki Krivocheia x Spektr Lain Konni) for a visit, the result of which was the breeding. We are anxiously waiting for ultrasound result, now. For more info feel free to send email at masibelle@gmail.com. FCI confirmed the title of International Beauty Champion for Max!!! Max is now also officially international champion. We payed a visit to dr. Zlata Čop d.v.m. (Lesce, Slovenija) to do yearly eye tests. Max is clear from PRA, RD, PHTLV/PHPV, cataracs.